Cool down and perk up this summer with a creamy and delicious Gooey Butter Cake Cold Brew Milkshake. This decadent cold brew milkshake tastes like a piece of gooey butter cake with a cup of coffee, making it the perfect hot weather dessert or treat. This post is in partnership with GEVALIA. All views, opinions, and love of cold brew coffee are my own. Thanks for supporting the brands that I love and make TidyMom possible. 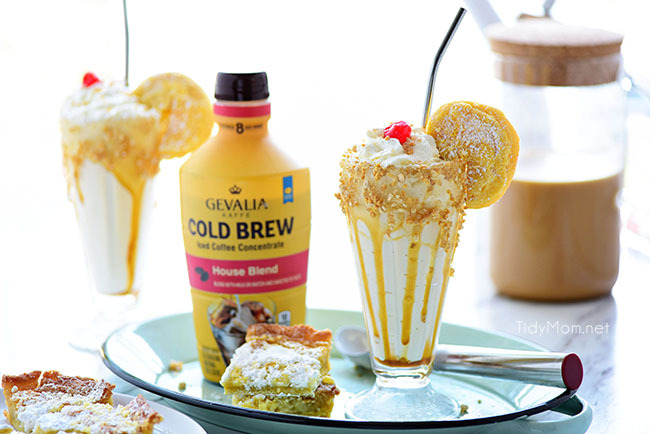 GEVALIA Cold Brew Iced Coffee Concentrate where have you been all my life?!! With warm weather setting in for most of us, iced coffee season is at its peak. While there’s nothing wrong with a splash of milk and a few ice cubes, I’m such a big cold brew fan that I wanted to take it to a new level. 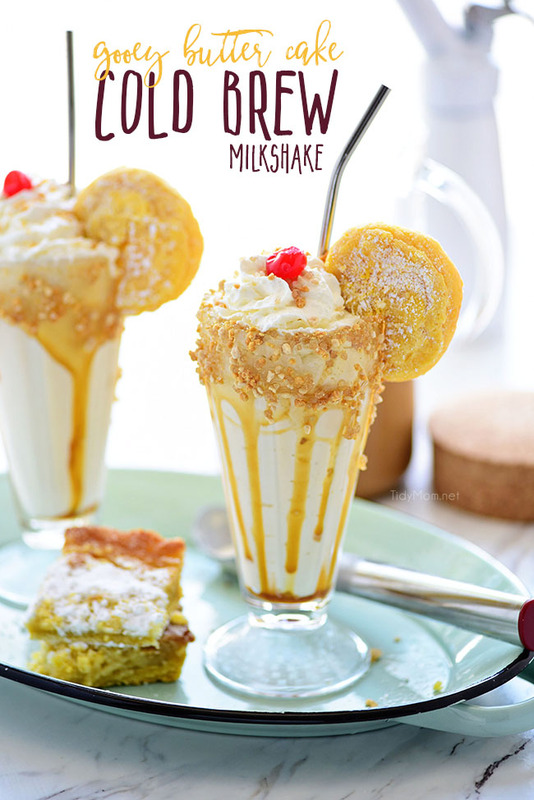 I created a milkshake that dreams are made of…….gooey butter cake and coffee dreams that is!! enter Gooey Butter Cake Cold Brew Milkshake! It all started months ago when my daughter mentioned she had gooey butter cake ice cream. I knew the second I heard about the ice cream that I would have to create something with it. Fast forward to a few weeks ago when GEVALIA Coffee asked if I would like to make something with their new Cold Brew Iced Coffee Concentrate. My mind instantly went to the gooey butter cake ice cream! what better way to pair it than with cold brew coffee!! If the magical cold brew concentrate doesn’t send your cool-refreshing-summer-in-a-fancy-glass loving self into a frenzy of tingly taste buds, let me just give you another reason to get yourself all up in a cold brew milkshake RIGHT NOW. The day these happened it was eleventy billion degrees outside. 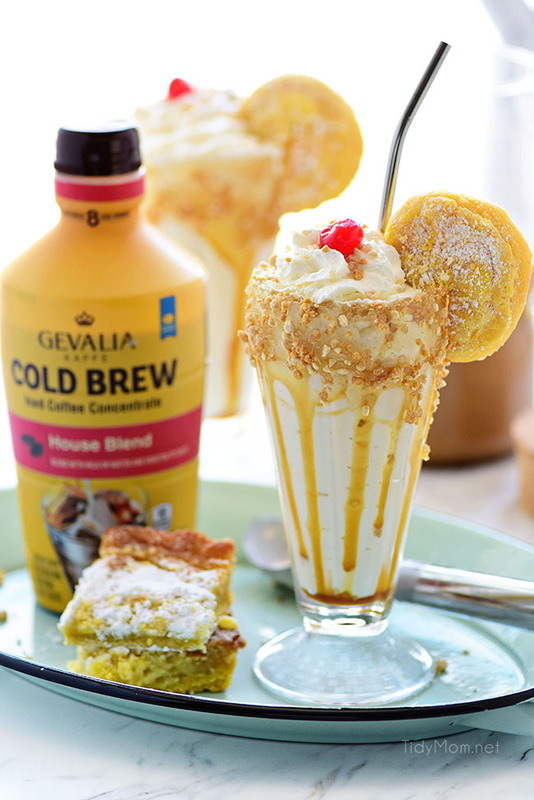 Ice cold milk blended together with equal parts, rich, never bitter tasting, GEVALIA Cold Brew Concentrate and a generous portion of gooey butter cake ice cream …. finished off with a caramel topping, whipped cream, and a gooey butter cookie…….was heavenly!! The main key to making a good milkshake is getting the right ratio of ice cream to milk. Too much milk is the biggest mistake most people make. You really only need a splash or a few ounces. let your ice cream sit out and soften a bit before making the milkshake. If the ice cream is too hard, you’ll have to add more milk to thin it out, and you will end up with the wrong ice-cream-to-milk ratio = too runny. put your glass in the freezer for a frosty cold milkshake vessel. Nothing beats the sweaty fist of vengeance that summer throws at us like a frosty cold milkshake. Don’t have access to gooey butter cake ice cream? You’re in luck! Gooey butter cake is super easy to make and you can simply add it to the blender with vanilla or caramel ice cream, milk and GEVALIA Cold Brew Concentrate (House Blend, French Vanilla, or Caramel ). Gooey butter cookies would work too. Any option will work, with a splash of GEVALIA Cold Brew Concentrate and milk (omit the milk if you’d like a stronger coffee flavor) blend until desired consistency. Pour it in a glass with a little caramel sauce, top with whipped cream and a gooey butter cookie (I also sprinkled some praline topping) serve with a straw or spoon and enjoy! Take that you ground-smoldering, sweat-inducing heat! To armor you against the blistering rays of the sun GEVALIA’S new Cold Brew Coffee Concentrate allows you to make your own iced coffee and customize to your taste at home. Unlike other cold brews, this concentrate is delightfully different and shelf-stable. Like this Gooey Butter Cake Cold Brew Milkshake recipe? Pin It! I’d love to hear in the comments what you’re going to do to make it your own?! Check out the full collection of GEVALIA Cold Brew Concentrate here. 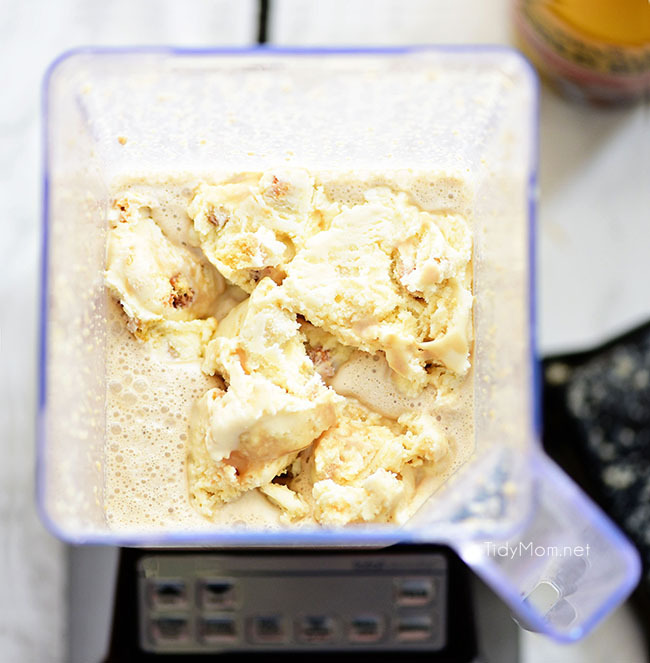 Creamy and delicious, a Gooey Butter Cake Cold Brew Milkshake is the perfect dessert or treat! This decadent cold brew milkshake tastes like a piece of gooey butter cake with a cup of coffee. Pour praline topping in a small shallow bowl. Rub the rims (about 1-inch down from the lip) of 2 large glasses with thin coat of caramel sauce . Dip and roll the rims in the praline topping. Place the glasses in the freezer. Combine cold brew concentrate and milk into a measuring cup. 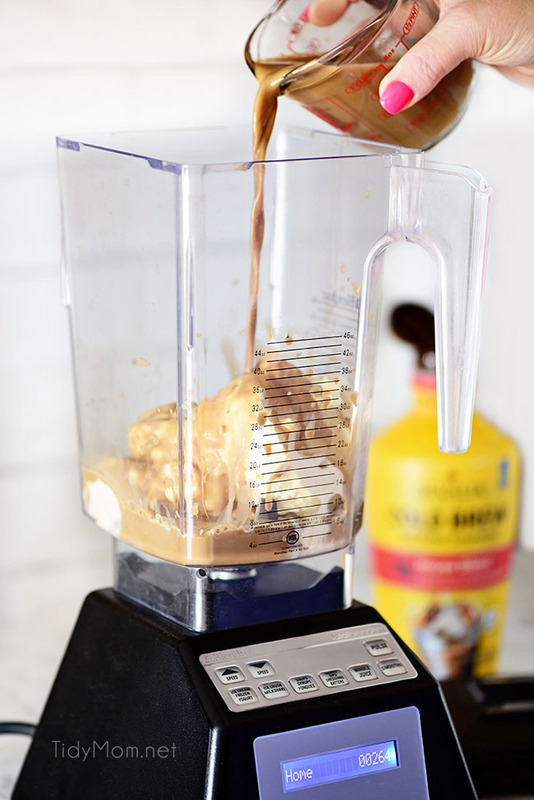 ​To a blender, add the ice cream and half the cold brew mixture and blend until smooth, adding more cold brew mixture if needed until your desired consistency is reached. Remove the glasses from the freezer and drizzle with caramel sauce on the insides and bottoms of the glasses. 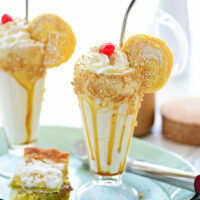 Pour milkshake into frosty glasses and garnish each with a whipped cream and a gooey butter cookie! Enjoy! What a wonderful combo — This milkshake looks absolutely incredible! 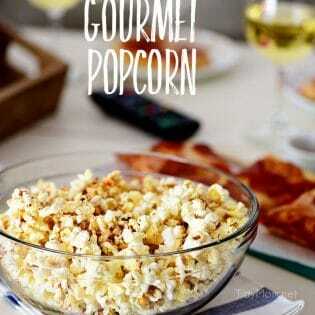 This looks over-the-top delish!! Pinning it for later! What a thoroughly scrumptious looking milkshake, wow! This milkshake looks insanely delicious! Exactly what I need on this hot day! Oh man. What a milkshake! This is the perfect treat after a long week! Now THIS is a milkshake!! 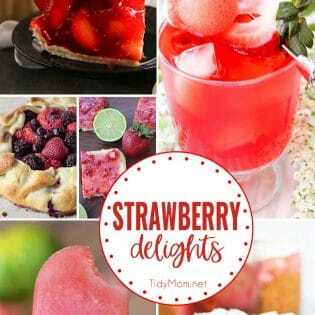 This milkshake recipe is perfect for this hot summer that is happening here, I’m in love with this dessert but I never got it right, I never got it right, I think I put a lot of milk now I know I should put as little as I could not know it before.